The last episode of The Julie Andrews Hour aired in May of 1973, however what began with my attending the tapings of the show was not quite over. And, we hope, the history of this wonderful show will continue as well. 88. 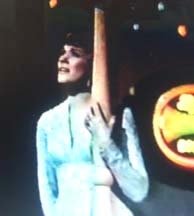 The 1973 Emmy Awards - The Julie Andrews Hour Wins!